A breezy way to discover George Town, this cycling tour introduces you to George Town�s heritage, its famous street art and you may chance on George Town�s hidden treasure. Led by a licensed tour guide, the total distance for this tour is less than 10km. Starting off from the Swettenham Port in Weld Quay, this fun ride takes you through narrow streets and back lanes in the heritage area, where you will have a chance to discover George Town by night. For a break, the tour will stop for dinner at one of Penang�s famous hawker centre. Other than indulging in Penang�s street food, there is also a chance to taste the king of fruits, durian, when it is in season. 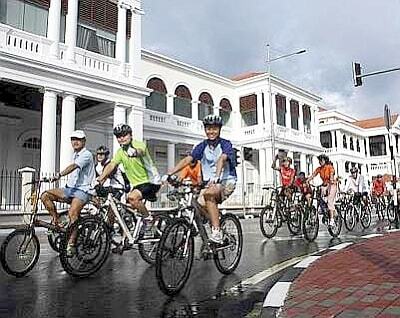 Enjoy a night cycling tour to Straits Quay after dinner. Taking off from Weld Quay, the tour will cycle through Gurney Drive, where there will be a short stop at Penang�s famous hawker centre. After indulging in Penang�s famous street food, the tour will carry on to Straits Quay, and head back to Weld Quay by 11pm. 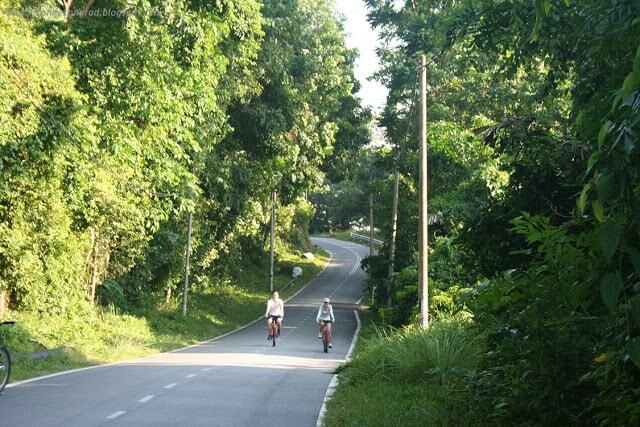 Explore Balik Pulau the eco-friendly way. Balik Pulau is a little town in the middle of the island. 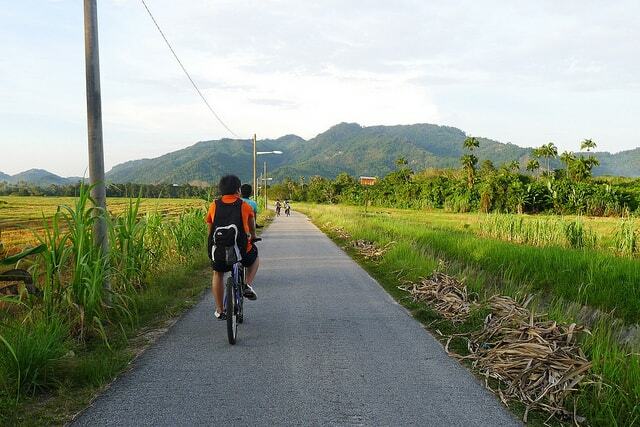 It's a beautiful village, set on approximately 17,000 hectares, Balik Pulau is rich in agriculture and heritage. Heading off from MARA college in Balik Pulau, explore paddy fields in Balik Pulau and enjoy a visit to a goat farm during this tour. The tour will end with a treat to Balik Pulau�s famous laksa (a kind of soup). The total distance of this tour is approximately 20km. This trip is suitable for early-risers, they can catch the sunrise under Penang Bridge as part of your cycle to Queensbay area in Bayan Lepas. This tour allows you to explore a different part of Penang with a total distance of approximately 30km.